Have you started feeling the pinch of summer heat? Well, the season is indicating its arrival. The summer heat can be merciless on our overall health, thus, it is very important to take care of ourselves. Coconut water is a drink that is easily accessible on roads. 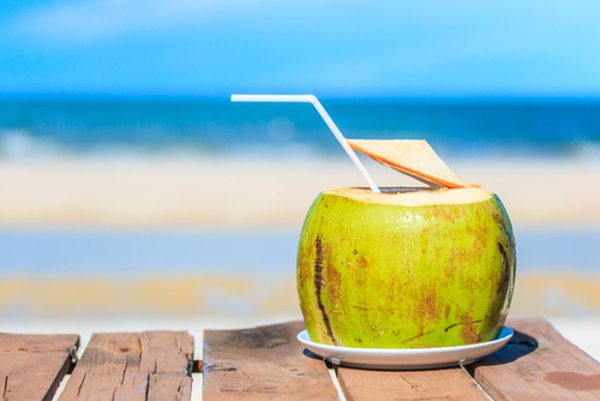 Coconut water can help your body heal the damages done by the summer heat. Make sure you try the heavenly taste of coconut water in summers. Watermelon juice is one of the best cooling drinks for summers. It is known to be a wonder fruit with loads of carbohydrates and vitamins. Interestingly, the fruit does not consist of fats and calories. Thus you can enjoy the benefit of watermelon juice without the tension of gaining weight. One sip of chilled watermelon juice can transform you into a better world. Lemonade is one of the drinks that is easily accessible in households. Squeeze a lemon to a chilled glass of water; add sugar and salt and your lemonade is ready. You can also add mint to it, to get a minty flavor. Buttermilk is known to be light and tasty drink. You can either buy it from the market or make it at home. So, do not forget to enjoy the benefits of buttermilk during summers. The sweeter and the heavier version of buttermilk is equally nutritious and soothing during summers. Lassi can keep you cool and full for a longer period of time. Above all, one thing that is extremely important during summers is water. Make sure you drink enough water to keep yourself hydrated.